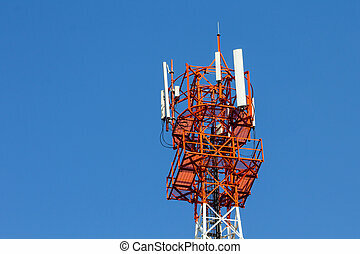 Communications antenna. 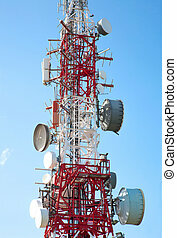 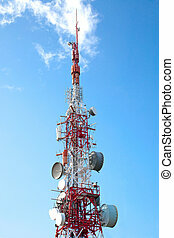 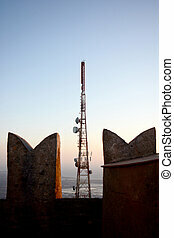 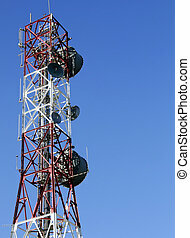 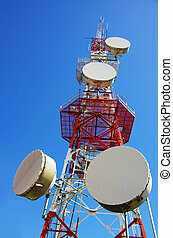 Media communications repeater antenna for various types of radio and television communications. 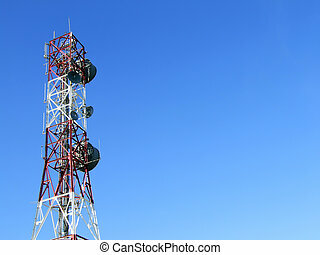 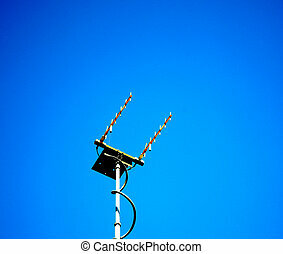 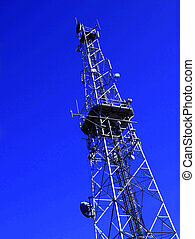 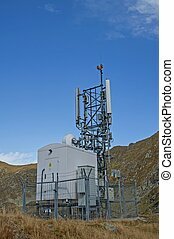 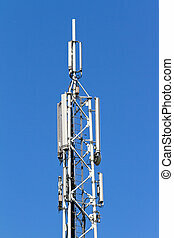 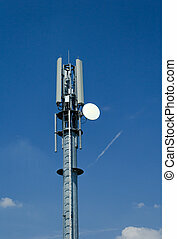 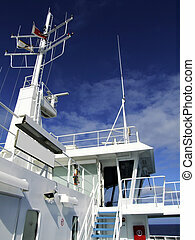 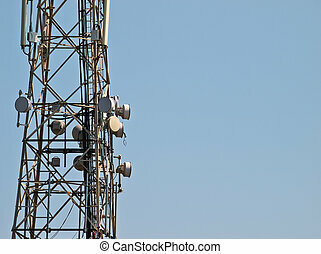 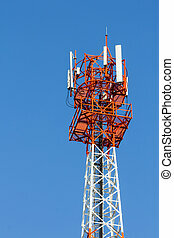 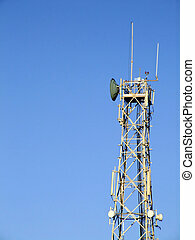 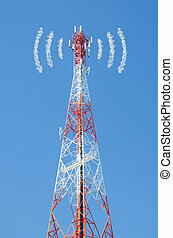 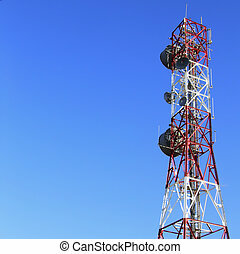 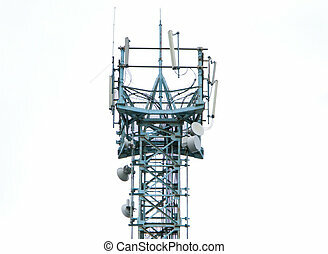 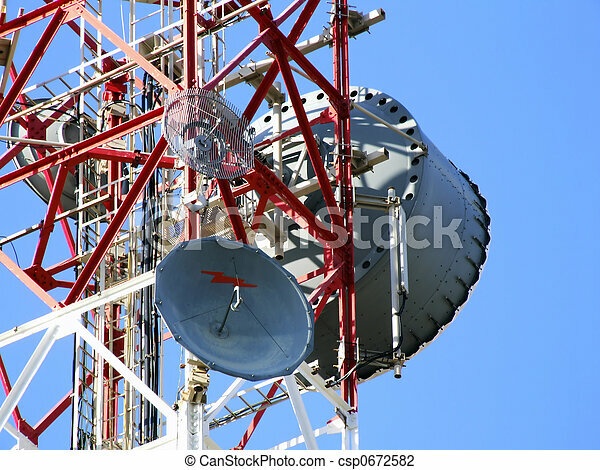 Communications antenna on blue sky background. 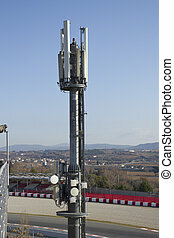 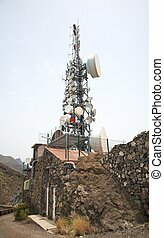 Communications antenna long fiber links worldwide.